As technology continues to advance, it is now easier than ever to integrate it into your home. Installing smart devices improves the overall quality of life and increases your home’s value. According to the 2018 Coldwell Banker Real Estate Smart Home Marketplace Survey, there is a huge increase of smart products, especially at home. The survey asked potential home buyers what smart products they would prefer to have pre-installed. There are tons of products available that are compatible with your new assistant. Smart home technology is considered a “luxury” feature buyers look for, but are actually more affordable than you may think. Our favorites below are easy to use and won’t break your bank! 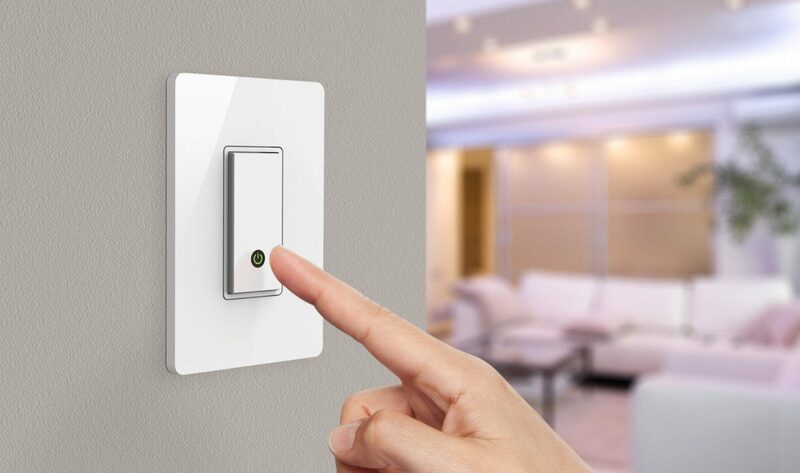 The Wemo Light Switch is compatible with both Alexa and Google Assistant. It replaces your old wall light switch and allows you to control the lights with your voice through Amazon Alexa or Google Assistant. Wemo also includes a schedule function for porch lights and ceiling fans. Honeywell Programmable Smart Thermostat is compatible with Apple Home Kit/Siri, Amazon Alexa, and Google Assistant. Features include: 7-day flexible scheduling for maximum comfort during each season, smart alerts for filter changes, and is Energy Star Certified. One of the best benefits of a “smart” thermostat: it can save you both energy and money. Take control of your home security with the Arlo smart security system. Compatible with Amazon Alexa, live HD feeds stream directly to your smartphone and includes free cloud storage, a smart security siren, two-way audio, and night vision. You can also get instant motion notifications to your smartphone or email. This device is weather resistant for added outdoor security. August is a company that specializes in smart home technology for your front door. Smart locks allow you to easily lock and unlock your front door with Amazon Alexa, Apple Homekit, and Google Home. Give keyless entry to family, friends, housekeepers, and others without worrying about lost or copied keys. Control and monitor your door from anywhere. August also makes a doorbell camera featuring real-time alerts, HD video camera, and two-way audio. The Nest Protect smoke and CO alarm sends alerts to your phone for both fast and slow burning fires, and will also notify you when your battery needs changing (no chirps here!) Nest Protect will give you a quick green glow when lights are turned off to let you know it’s fully functioning, and also lights up as you walk underneath it.